HTML5 game development has become a buzzing concept now a days. Being a popular web technology, it has passed significant years in the arena of app development. As a result, its potentiality has gradually passed among the game developers. With passing time HTML5 has gained immense popularity as a game development technique. In fact, it has contributed uniquely to creating loads of entertaining and engaging games for all types of gamers across the globe. To know more about HTML5 game development, you can either learn from others’ experiences, research on your own or can even consult an established HTML5 game development company. In this article we will discuss about some factors that have made HTML5 a favorite in the gaming industry. The huge demands for mobile games all over the world has made this industry highly competitive. So, in order to stay ahead in this scenario, as a mobile game development company you have to be innovative, exclusive and technically proficient. Keeping all these in mind if you really want to influence the industry of mobile game development, HTML5 is the platform to go with. Now why you should opt for this has been discussed below. This is truly an attractive feature for creating diverse games and making those compatible with a wide range of devices. This attribute is impressive as the implementation can be done smoothly along with perfect synchronization. Compatibility of HTML5 has been proven with browsers like Opera Mobile, Opera Mini, Safari iOS, Google Chrome, Android browser, Amazon Silk, Blackberry browser, Firefox, Nokia browser, etc. As HTML5 gaming apps are functional on a different OS of mobiles, the cost involved is less as compared to developing native apps for specific OS. Unlike native counterpart, with HTML5 you have created apps once and can then deploy those across the desired platforms. This is another noteworthy advantage for HTML5. Here the users do not have update anything manually. The updates happen automatically. People who will be using it can experience the updated version. It really helps in saving precious time and money. New markets are emerging with respect to mobile game development. So, here with HTML technology, you can attract new gamers who can enjoy playing entertaining games irrespective of their operating system. This can open more opportunities for HTML5 games to retain gamers and influence the development trends. 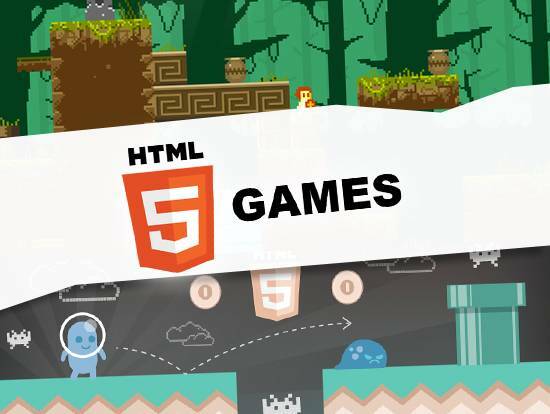 HTML5 game engines have opened up exciting doors to the gaming world. Some notable frameworks used for HTML5 game development are Turbulenz, Booty5, Phaser, ImpactJS, BabylonJS, Construct2, etc. These frameworks and tools have really facilitated in resolving complex issues and make the HTML5 game development process seamless. With game engines you can take care of crucial tasks involved in the game development process. Engines used in creating HTML5 games actually reduce the time to develop a decent functional game. The technical intricacies such as animation, audio, maps are properly maintained by using game engines and frameworks. Various genres of games like simulation, board, casino, puzzle, strategy, shooting, sports, etc are created with the desired features using suitable frameworks and engines. Now let us go through some of the superior engines and frameworks used for HTML5 game development. Using this you can enrich your game development with great features such as sprite map support, collision detection, etc. With HTML5 you can create stunning games for both mobile and desktop browsers. The Impact has a versatile Weltmeister Level Editor which helps in making the game creation simple. This is specially used for designing 2D games without the need for coding. Using Phaser you can create lightweight 2D games for both mobile and desktop browsers. From this entire discussion now, you can understand why you should consult a html5 game development company for creating diverse games of multiple genres. The benefits or the advantages have been pointed out explicitly for you to understand clearly. The attributes of a cross platform and cross browser have made HTML5 a popular technology in the world of mobile gaming.